If all goes as we anticipate, a new era for the Internet could begin on Aug. 1, 2008. 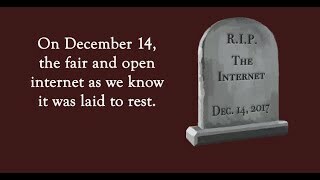 On that day, the Federal Communications Commission (FCC) is expected to decide that Internet users have rights under the communications law. This is a spectacular victory, because not long ago the thought that a Bush Administration FCC would actually enforce its 2005 principles for an open Internet would have been laughable. The principles were the product of intense negotiations around an order that took telephone company DSL service out from under the protections of the Communications Act that protected consumers for 70 years. Democratic Commissioners Michael Copps and Jonathan Adelstein got the principles as the best deal they could get at the time from FCC Chairman Kevin Martin. Now, thanks to circumstance and hard work, the Commission will make those principles into something concrete and meaningful. The primary circumstance is that the culprit here is Comcast, the large and arrogant cable company that's the leader of an industry that has had a running battle with Martin over a number of issues for the past couple of years. It was Comcast that used hacker-like practices to curb the use of a legal program, in defiance of accepted Internet technical custom and practice. It was Comcast that denied using those tactics. And it was Comcast that showed enormous disrespect to the Commission by using paid seat warmers to pack a hearing in Cambridge, Mass., earlier this year. Now, Martin is leading the effort to curb Comcast's atrocious behavior toward Internet users, and disrespect to the Internet. And despite his heroic efforts on the 2005 principles and many speeches favoring Net Neutrality and an open Internet, it was the reluctant Adelstein who cast the last of the three votes (with Martin and Copps) in favor of what will be a bipartisan order that will assert the Commission's jurisdiction over Internet services while smacking down Comcast. At the heart of the decision is the realization that government does have a role – to play referee when the game gets out of hand. It was that realization that first got government into the regulation of radio in the 1920s, and it's just as true now. An industry working together will only go so far some when some in the sandbox don't play well with others. FCC Commissioner Robert McDowell missed that point when he wrote in The Washington Post on July 27 that the better way to handle the Comcast issue was by collaboration over regulation. McDowell wrote: “If we choose regulation over collaboration, we will be setting a precedent by thrusting politicians and bureaucrats into engineering decisions.” Here's the rub. There is a mechanism for such collaboration. There is an Internet Engineering Task Force, made up of those who understand the inner working of the Internet best. As one of those Net luminaries, David Reed, testified to the FCC at the Cambridge hearing, what Comcast did was outside the bounds of acceptable practice. Collaboration broke down. Privately, some industry executives express nothing but disdain for the IETF, saying that the organization is simply a bunch of engineers with unenforceable standards. This is where McDowell, in the same op-ed article, got it right: “If they (collaborative groups) can't reach an agreement – which has never happened – then government could examine the situation and act accordingly.” This was just such a case. Despite the attention paid to Comcast, and the less attention paid to Cox, which is using the same techniques, neither company has stopped doing what it was doing – disrupting the traffic of Internet users for the most spurious of reasons. There have been a series of announcements from Comcast about how the company will work with this company or that to “solve” the problem, but a few words about talking of a potential agreement some day won't cut it. Make no mistake. Despite Comcast's protestations, the complaint against it by Free Press and Public Knowledge showed through the technical work of engineer Robert M. Topolski, that Comcast engaged in this bit “throttling” at all times of the day and night, not simply at peak times when traffic management might be called for. The technique used disguised the “reset” packet to terminate a peer-to-peer session as coming from the users involved, when in fact it came from Comcast. This proceeding could be the bellwether of FCC actions to come. Next up in this sequence of big network companies pushing their weight around is the petition PK filed to make certain that companies like Verizon can’t discriminate in how they give out access to text messages and short codes. But that’s another story. On Friday we hope to savor a hard-fought victory – with credit going to the many public interest groups, companies, academics and policymakers and others who have been researching, writing and otherwise evangelizing on these issues for the past nine years. 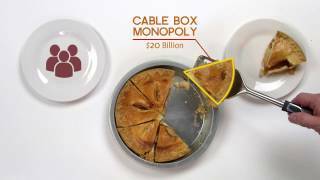 But lest the cable and telephone companies claim that the Comcast decision closes the book on net neutrality and that nothing more is needed from either the Congress or the FCC, don’t be fooled. PK President Gigi Sohn will write about why further action is needed to protect Internet users tomorrow.